I’ve always been kind of geeky I guess, got made fun of a lot as a kid, then there was like this nerd/geek revolution where it suddenly became cool and by the time I got to college it was awesome and a lot of guys really liked it – which was super nice, and now I think hipsters are kind of taking over nerdom which is really sad, but… we’ll always have 2007. I’m particularly into astronomy, but it turns out it’s pretty competitive and there’s not a lot of demand for people that like space (just ask NASA) so I’m not pro. I’ll read anything by Simon Singh, Stephen Hawking, and Govert Schilling (but only in English), and Marcia Bartusiak because they’re all fabulous authors. Also, online I do kind of stalk Mike Brown. A lot. I wish Commodore was still in business, Apple was out of business, Jonathan Coulton was as famous as Nicki Minaj (although then he probably wouldn’t personally respond to my emails – oh yes, he did! ), and I am positive I would enjoy long walks on the holodeck. 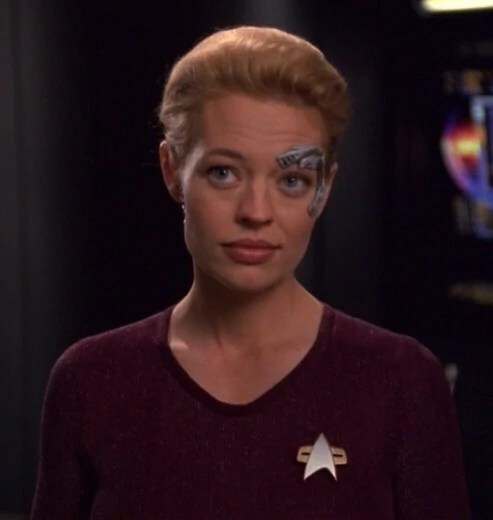 Oh and also, I would totally go gay for Jeri Ryan. Most requested Star Trek actor. Ever. Hey I go gay for Jeri Ryan……..wait a minute I’m a guy. So much for going gay. Um, Loren, i know we haven’t known each other for that long, but…can we be best friends?